Rachel Smith finds out what it takes to be Britain’s best oyster shucker. 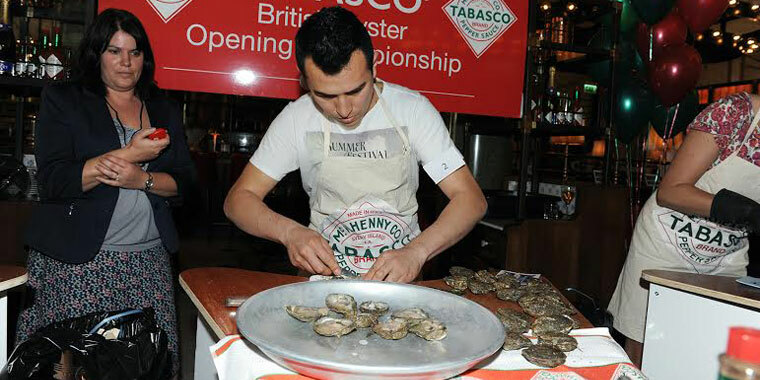 It’s a Monday afternoon in early September and a small crowd of professional oyster shuckers are gathered at Holborn Dining Room in London for the annual Tabasco British Oyster Opening Championship. Tension is in the air as they prepare to go head to head, competing for the coveted title of Britain’s best shucker. With its red banquettes, tiled floors and circulating magnums of Pommery Champagne, the grand brasserie is an appropriate setting for the contestants, who come from some of the best oyster bars around, such as Bentley’s, Scott’s, Wiltons, Wright Brothers, Riddle & Finns and Bibendum. “Reigning champion Sam Tamsanguan has retired,” announces the compère, celebrity chef Brian Turner, referring to the head chef of Wiltons – a Jermyn Street institution that dates back to 1742 – who has dominated proceedings in recent years. There are eight new competitors, throwing the competition wide open. And this year, he tells us, they’ve also introduced a new rule, that the oyster meat doesn’t have to be turned in the shell. Chris Leftwich of the Fishmongers’ Company – who is the head judge along with fellow judges CJ Jackson, CEO of the Billingsgate Seafood Training School and Jason Calcutt, development chef for M&J Seafoods – explains that the new rule follows the lead of the Galway International Oyster and Seafood Festival, arguably the world’s most famous shucking event, at which today’s winner will compete in a few weeks’ time. This innovation is food for thought for the competitors: turning the oyster meat might add precious seconds to their final time, but not turning might jeopardise the all-important presentation. Sounds technical? Well, you’re right. Let me explain. Each heat pits three contestants against each other. 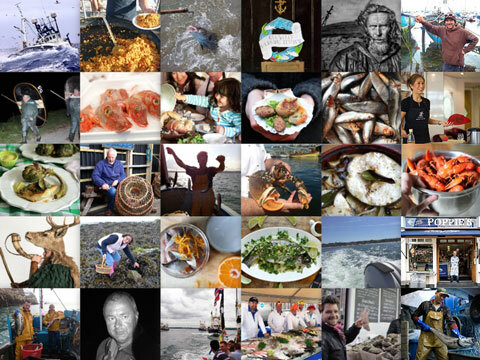 Each one opens their box of 30 Loch Ryan oysters and lays them out in their preferred pattern – heaps, lines, arrowheads – according to their own perfected technique. When they’re all set, they start shucking and when they’re finished they ring an elegant cut-glass handbell. 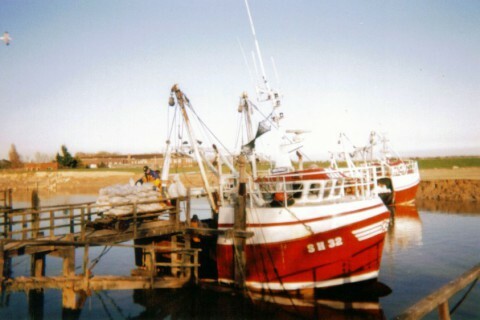 That stops the clock and they aren’t allowed to touch the oysters again – no fiddling, no straightening up. Their trays are then whisked off to the judges’ room for inspection. Every flaw means a four-second time penalty. So if one oyster hasn’t been properly released from the shell, and it’s been cut into, and it has flecks of grit, 12 seconds can be added to the time. Multiply that by 30 and you’re down six minutes. So while average opening times might be just three to four minutes, poor presentation can drop the speediest shuckers to the bottom of the leader board. The first heat starts. It’s between Brighton’s Riddle & Finns, the Wright Brothers Spitalfields and Holborn Dining Room (the home team). 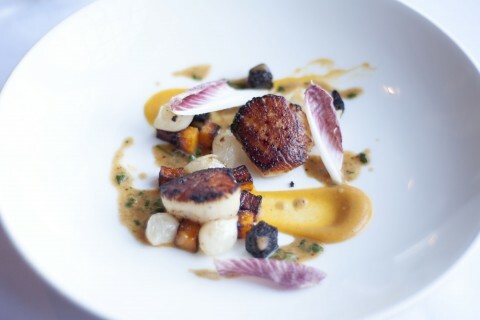 The room falls silent, intent on the hands at work: wiggling knives between the shells, gently prising them open and over, using the tip of the blade to remove any flecks, then reaching for the next shell – urgent, but rhythmic and controlled. “It’s all in the concentration,” whispers a watching competitor in the crowd, offering some welcome in-match analysis. Two minutes in and brows are furrowed as the contestants struggle to focus in front of a wall of camera flashes. It’s like the Epsom Derby as the competitors hurtle towards the finishing line, the crowd roaring them on. “C’mon! You show them!” colleagues whoop, as they wrestle with their last oysters. Like most endurance races, the final few seconds are climactic, and grins break across the competitors’ faces as they reach for the bell. When all the heats are over and the scores tallied, the 2014 Oyster Shucking Competition demonstrates once again that care of opening and presentation is every bit as important as speed. 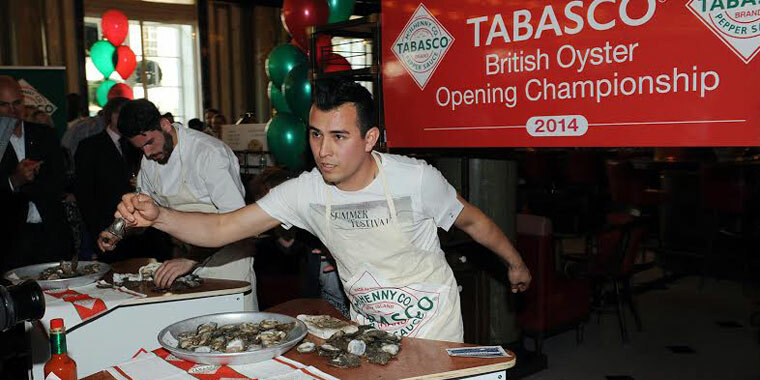 Tristan Hugh-Jones, who supplied the oysters from Loch Ryan, takes 40 seconds longer than one competitor – but his neatness allows him to vault past him to third in the final rankings. But the overall winner is Hugo de la Rosa in the incredibly fast time of 3 minutes and 23 seconds. Originally from Mexico, Hugo arrived at Wright Brothers via a stint shucking oysters in Canada. 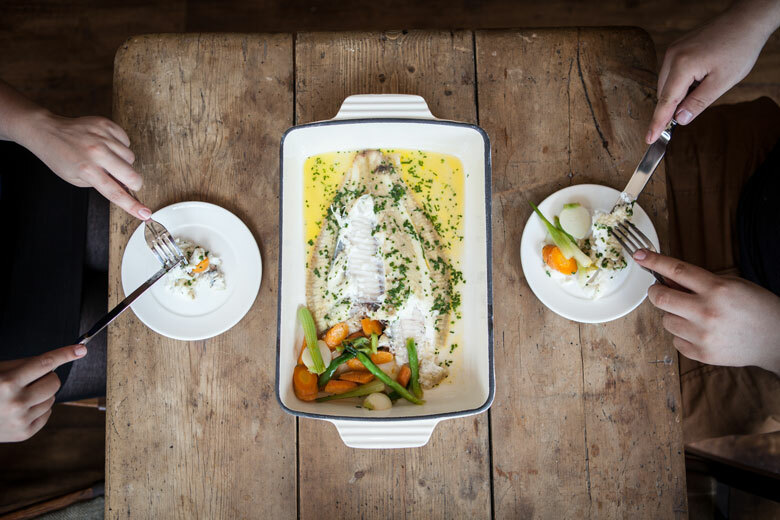 Overjoyed, he collects his trophy from Wayne Sleep, the famous ex-ballet dancer turned choreographer, and then no doubt heads back to Spitalfields for Monday night service – and to start preparing for the next round in Galway. 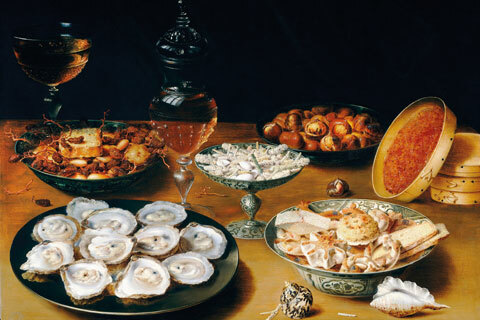 As Valentine’s Day approaches, Rachel Walker speaks to Drew Smith, author of Oyster: A Gastronomic History, to learn more about this magnificent mollusc’s remarkable past.